The Hatton History website is one of the main research outcomes of a major partnership project between Tyne & Wear Archives and Museums and Tate, funded by the John Ellerman Foundation. The project took as its point of departure the display ‘Basic Design’ held at Tate Britain, which itself was one of the outcomes of the Tate’s Art School Educated research project funded by the Leverhulme Trust. 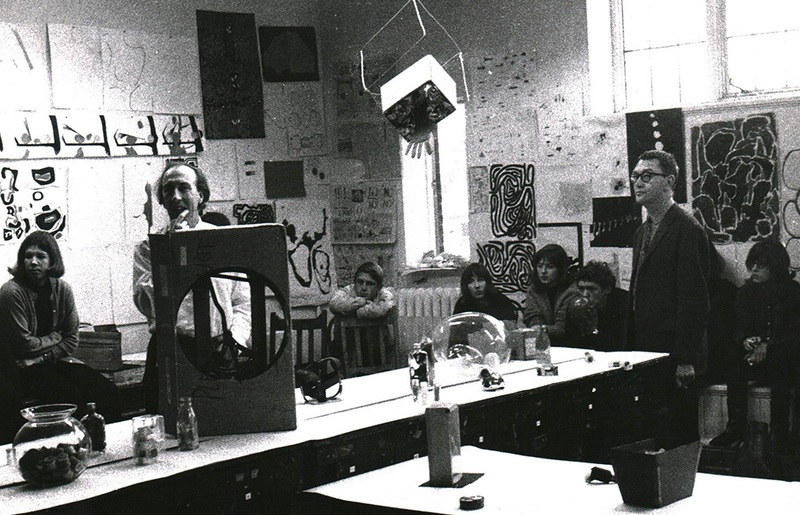 The starting point of the project was an exhibition at the Hatton Gallery in September 2014 called ‘Basic Design: A Revolution in Art Education’, which re-presented the Tate display, adapting it to emphasise Newcastle’s central role in in the development of a new ‘Basic Course’ for art students. The core part of the project has focused on an examination of archival material held within the Hatton and Fine Art Department, specifically relating to the 25 years following World War 2. This was the first time that files, posters, catalogues, photographs and other ephemera from this period have been systematically recorded and examined. It is within this material and the interviews recorded with alumni that the story of the Hatton Gallery and Fine Art Department during this period resides, this website is a first step in revealing that history. The website is organised so information and material can be accessed year-by-year or across the three broad themes of Exhibitions, Acquisitions and Staff, Students and the Basic Course. A separate section gives a brief account of the period prior to 1948. The site does not provide a definitive written account of this period in the Gallery and Department’s history, rather the intention is to reflect and celebrate the material that exists within the archive. Highlighting a small selection of items from this wealth of files, posters, catalogues, photographs and other ephemera will hopefully give an impression of this momentous period.